It may be true that no athlete is bigger than the game, but one thing is certain: Tiger Woods is golf. From dominating the junior ranks in his boyhood, to becoming the first player in history to hold four major championship trophies at once—the Masters, U.S. Open, British Open, and PGA—it has been his mental game that fuels his fire. 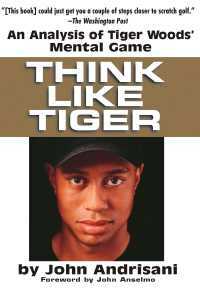 This book contains an independent study and analysis by John Andrisani, former senior editor of instruction at Golf Magazine; he has not consulted with or sought the participation of Tiger Woods in its preparation.